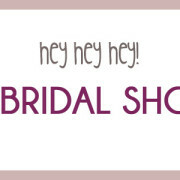 You are here: Home / blog / bridal shows / bridal show this weekend! Come see THIS weekend at the …. We’ll be right up front when you walk in the door. You can’t miss us, we’ll be featuring tablescapes with rentals that you can get from us (so be sure to ask). Highlighting more texture, beautiful linens, and unique glassware and not focusing on the flowers as much. Brought to you 99.5 WKDQ, Superhits 105.3, 106.1 KISS FM, EvansvilleBrideGuide.com, Bauer’s Tents & Party Rentals, planning… forever events (hey, that’s us), and davis digital photography. ps Are you are friend on Facebook? We’d love you to be. 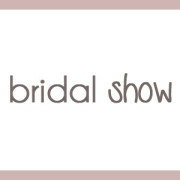 https://www.planningforever.com/wp-content/uploads/2014/01/its-a-bridal-show.jpg 300 720 saundra, event planner https://planningforever.com/wp-content/uploads/2013/04/2014-pfe-logo.jpg saundra, event planner2011-11-02 16:50:332014-01-11 12:13:06bridal show this weekend! psa :: to wedding guests contest alert: win a wedding planning service!